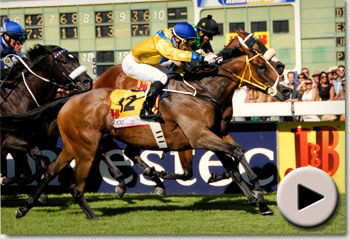 Summerhill Stud CEOMike de Kock is a tough man. I’ve known him for a long time, and I’ve never seen him so much as wince in the face of anything, victory or defeat, life or death, love or distress. But Saturday was different. For the first time, for just a moment, in what he described as his most humbling experience, I thought I detected a flicker at the edge of his lips. The great man was searching through his emotions, the words were hard to find. You had to feel for him, as much as you did for Anthony Delpech, who in the end, just crumbled. There are few places quite as lonely as the big race parade when you’re on a hiding to nothing. Here was the Horse of the Year, unbeaten in her last seven, and with the weight of an adoring public heavily on her shoulders. Whatever the knockers and naysayers were chirping, racing fans would have none of it, and far from drifting as one might’ve expected with all that was said about her preparation before the race, when Igugu went to post, her price shortened from 13-10 to well into the red. In a big race like the Met, it takes a fortune to move a horse that many points, but that’s what Igugu does to people. It’s as though she knows that the nation expects, and for the whole of the past year, the “real” Igugu has turned up, every time. This time it was different, with everything and the kitchen sink having been thrown at her, and with 200 to go, it was as though she was gone. Sheikh Mohammed and Andre Macdonald’s Igugu turned her head to the right like she was feeling something, the gas wasn’t there, and Delpech’s foot was flat to the boards. From the “400”, the 50,000 in the stands were yelling their lungs out, and for a moment, their guns went silent. In an instant, as though she could feel their disappointment, she picked up her head, thrust it forward and went into overdrive. We’d like to say “and then it was all over”, but that wasn’t the case. She kept her fans on the edge of their seats until the last two strides, but when it mattered most, she was already a half length clear, gesturing to the organisers that if they wanted her back, another 400 metres would be appreciated. As you can imagine, even without our telephone lines, our emails have been buzzing since Saturday evening. They’ve come from everywhere, and they’ve all come to worship “The Queen”. This was not the only famous victory though, from a lady this weekend. The great Australian mare, Black Caviar, made it 17 from 17, eliciting from one guru of the Australian game, the remark “it’s safe to say we saw the two finest racemares in the world today”. That says it all. How sad for Dubai, she’s not there. Igugu is not only talented, she has the courage of a lioness, and she’s a timely reminder to South Africans of where we come from. The world is full of unnecessary fear right now, but theirs and the next generation of South Africans from all walks of life, have nothing to be afraid of. We’re in a country, in a region and in a world in the midst of significant change, and we have the opportunity to be part of and to help steer the change. Like Igugu, the challenge for our young people, is to graduate from their schools, colleges and universities, go forth to new lands of conquest, dare yourselves and our society, to see a new and better time, and make our land a new and better land. Every generation wants to believe their’s is the best of times and the worst of times. Our young people should live boldly. They have nothing to lose, except fear. The J&B Met reminded us of that.